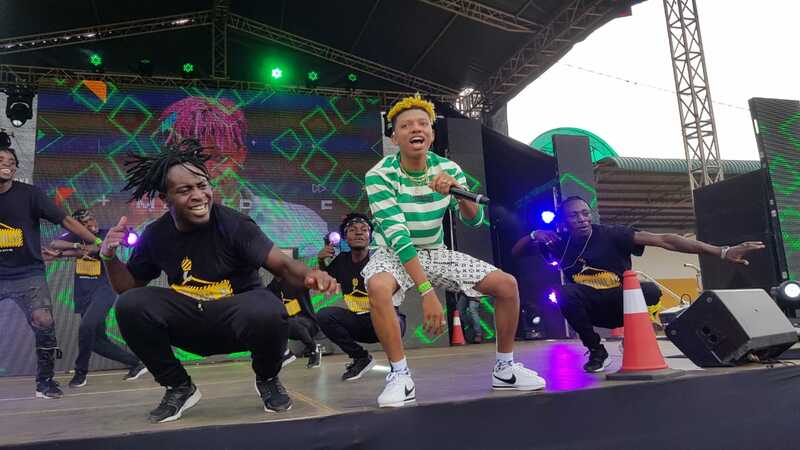 Nairobi, (June 24th, 2018) – The 13th Annual Groove Awards with Safaricom went down earlier today, in a colorful celebration held at the Kasarani Indoor Arena. Fashion, Pomp and Color graced the red carpet black-tie event whose style was largely inspired by this year’s theme – Rebuild, which focuses on the message of unity in rebuilding and restoring the glory of the gospel industry and the country at large. Guardian Angel of “Nadeka” bagged the Artist of the Year Award which was the most coveted award of the evening while Odi Dance by Timeless Noel, Jabidii & Hype Ochi won big by bagging 4 awards in Song of the Year, Collabo of the Year, Dance Style of the Year and Skiza Ringback Tune categories respectively. 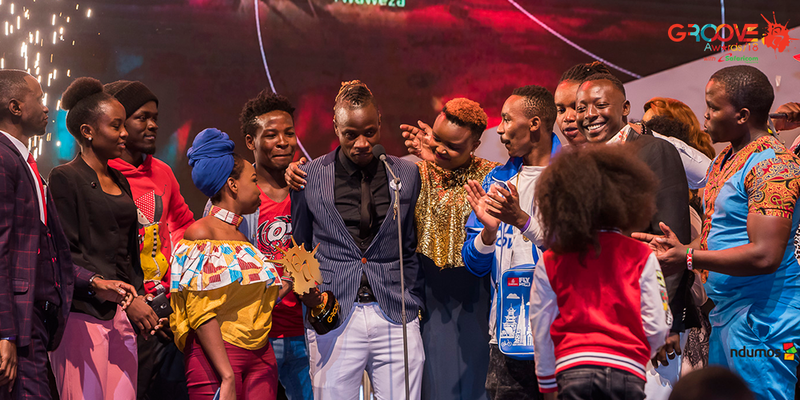 The awards for Teen Choice Song of the Year went to Master Piece for his song Chini Ya Mwamba. “This has been a different year and an amazing one at that. We made a myriad of changes in how we have run the awards previously for more public inclusion and we are so happy that the changes were received very well both by the artists and the public. We have seen a larger participation and ownership of the awards process especially tonight which is a great honour. This is the biggest production in Kenya and by far Africa involving Artists, Dancers, DJs and Top Producers” said Groove Awards Founder Kevin Mulei. “We are very grateful for the opportunity to shape youth culture positively and are very proud of the work the Gospel artists continue to put in to advance the kingdom business. We are even more proud today to be able to celebrate them, those that took home an award and those that did not alike,” he added. The Awards, which were first launched in 2004, are held annually to celebrate gospel artists both in Kenya and in the region, and have over the last decade grown into a highly anticipated feature of the gospel industry calendar. Other performances that carried the night included Mash ups of 2017/2018 big hits by amongst others, Moji Short Baba, Master Piece and the big win dance- Odi Dance by Timeless Noel, Jabidii & Hype Ochi which scooped 4 awards. 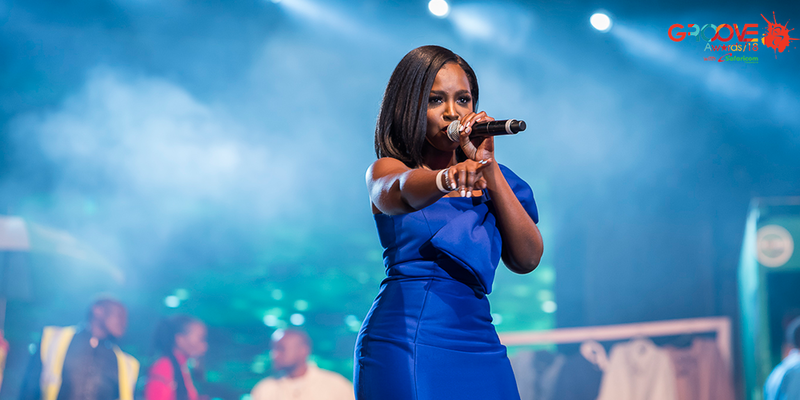 Winners in each category were selected based on number of votes by the public, a two weeks long process that began soon after the Groove Nominations Night earlier in the month. To protect the integrity of the voting process, all votes were assessed by leading audit firm EY. Speaking during his acceptance speech, Guardian Angel who scooped the Artist of the year award called upon gospel artistes to produce more music that glorifies God saying Nadeka came to him at his lowest and it became the song that got him the recognition that he had so yearned for years. He urged them to be keen on content asking them to wait on God as his timing is the best. 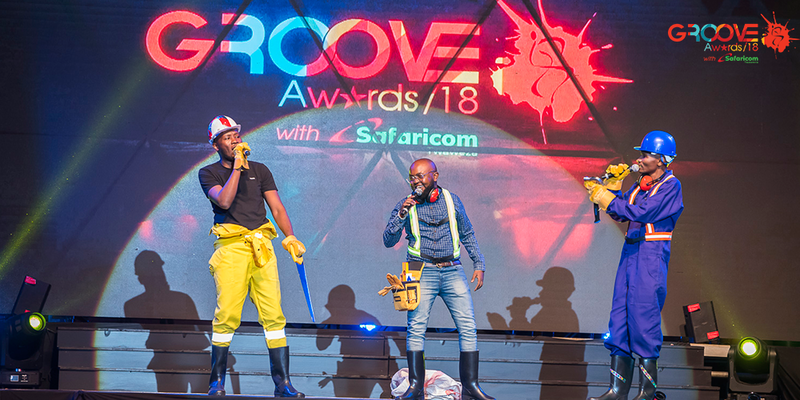 A surreal moment engulfed thousands that were in attendance at the 13th Edition of Groove Awards with Safaricom as the Late Angela Chibaloza was honored with the Contributor to the industry award and there after a tribute performance. Other big winners of the evening were: Willy Paul, who took home the award for Music Video of the Year (Jigi Jigi), Jabidii for Breakthrough Artist of the Year, Reuben Kigame Feat Gloria Muliro for Praise and Worship Song of the Year (Huniachi), DJ Terrots for the Breakthrough DJ of the year, DJ Mo for the Media Personality of the Year and Eko Dydda for HipHop Song of the Year (Cheki Vile). A winner’s concert is slated on 8th July 2018 at The Embu Municipal Council Stadium and will see all winners meeting their fans to celebrate their wins whilst appreciating their support during the nomination and voting process. Since 2004, Groove Awards with Safaricom has celebrated excellence in gospel music in Kenya and across Africa. The awards, entering their 13th year in Kenya (and 6th in Rwanda), are this nation’s most prestigious and recognized Gospel music awards, enjoying regional resonance and relevance. Groove seeks to promote gospel music as a message of hope and an avenue to address issues affecting young people across the African continent with a key focus on its main objective – “Shaping culture through positive content and entertainment”. Groove Awards has seen over 1,800 artists/groups nominated and almost 400 Groove statuettes presented to gospel musicians in Kenya and beyond. Follow us on twitter @GrooveAwardsKE for nominations, tours and awards news and announcements. Like our Instagram and Facebook pages, GrooveAwards and join the conversation with the Groove Awards on hashtag #GrooveKE. For more information, please contact the Groove team on info@grooveawards.co.ke, or call us on 0708808080.